We’ve all been there. You just want to play some Tic Tac Toe with your bestie, but you’re in two different places. Sure, you could bail out of Messages and launch some online Tic Tac Toe app full of annoying ads, but how are you going to talk smack when you’re throwin’ down that final X to win the game? 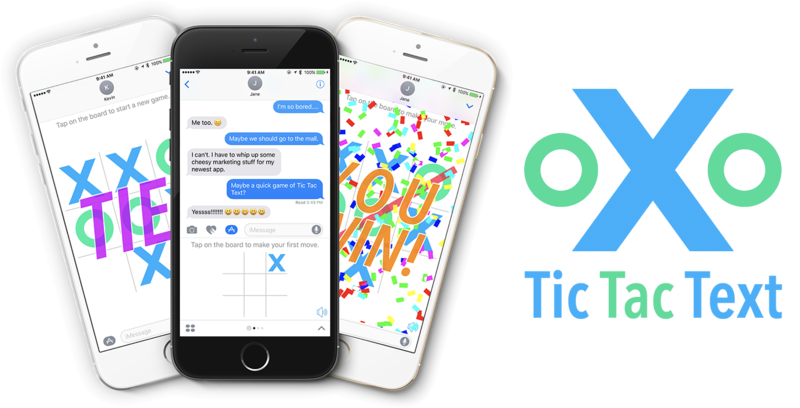 Enter Tic Tac Text, the Tic Tac Toe game you can play with a friend right within the Messages app in iOS 10. Tic Tac Text is elegant, beautiful and fun, just like you and your friends. Most importantly, it fits in with your texting lifestyle.